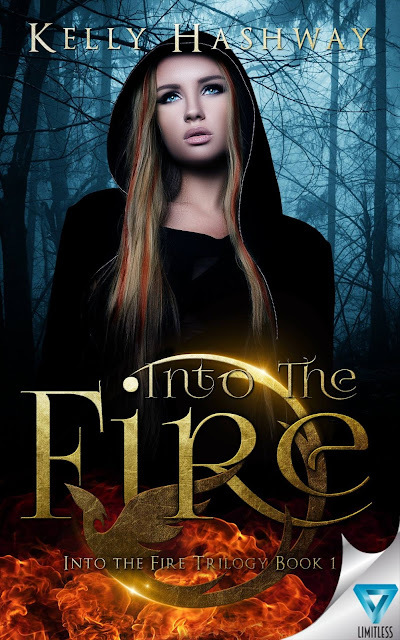 Into The Fire by Kelly Hashway has a brand new cover! But before you check out the new cover, why not read the description of the story synopsis to whet your appetite for more? Don't just stare, click the cover to place your pre-order! Okay, stare for as long as you like, then go pre-order your copy. Stunning, right? I know! The great news is there's even more content this time, and the story is even better than before. I cannot even imagine how it could possibly get any better, other than adding MORE story, which she did! I loved the first two books, and am currently reading book three, and OMG, it's amazing. You won't have to wait long for it, either, since book 1 is coming out 2/16/16, followed by book 2 on 3/2/16, and finally, book 3 on 4/12/16. Hooray! I am so excited for this series, I can't even stand it. I am thrilled to get to share it with you and soon we can all fanboy and fangirl about it like crazy. Feel free to come back here and tell me what you think of book 1. Into the Fire is an amazing read. Plenty of fire, lots of kissing, and scorching hot besides. Grab your copy now. You won't want to grab it Out of the Ashes. You might get singed. Get yours before it goes Up in Flames.